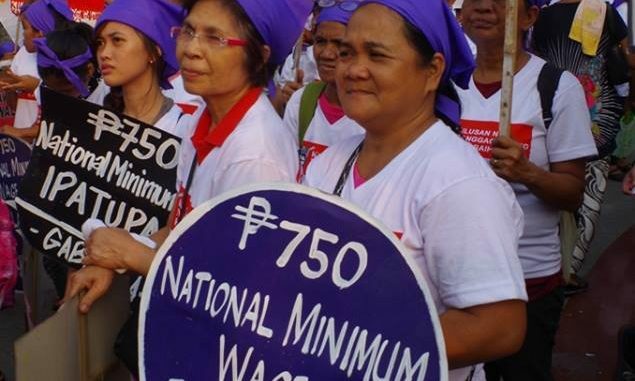 On February 24, thousands of people joined the anti-fascist, anti-dictatorship march from Cubao to the EDSA People Power Monument. 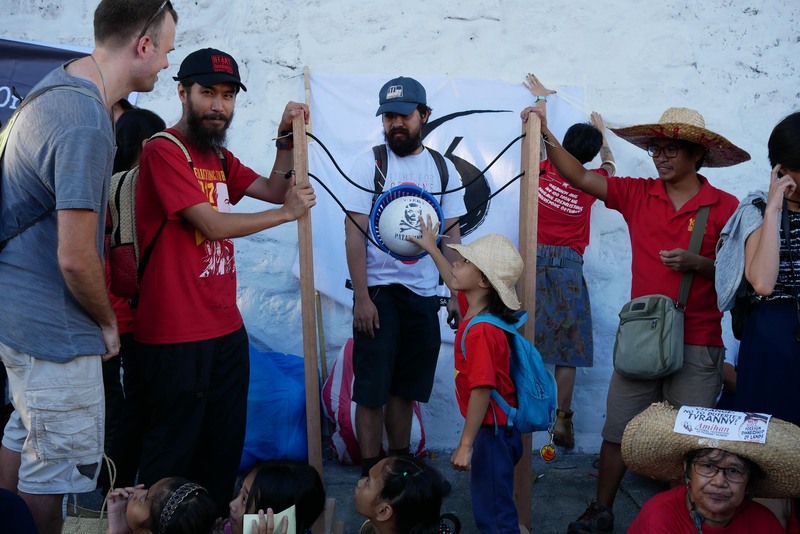 The slingshot was mounted by the peasant advocates of the artist network SAKA (Sama-samang Artista para sa Kilusang Agraryo). 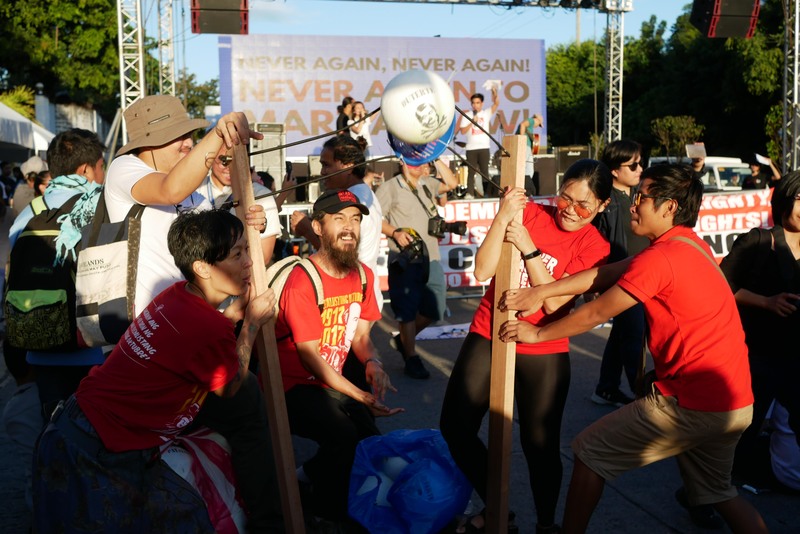 Fellow protesters in the crowd caught the balls and threw them back to SAKA so the slingshot could ‘eject’ Duterte again and again. 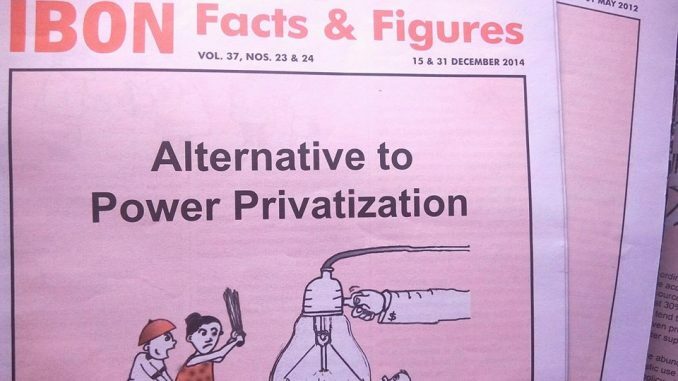 The activity was consistent with the artist network’s statement released a day prior to the march. “Marapat lang na magbigkis ang sambayanan para labanan ang administrasyong nagtataguyod ng[…] diktadurya [ni Duterte]” (“The nation must come together to fight the administration establishing Duterte’s dictatorship”), the statement declared. “Sa pagpapatalsik ng diktador, taumbayan ang tirador” (“In ejecting a dictator, the people are the slingshot”), it concluded. According to the group, charter change would only aggravate agricultural backwardness in the countryside and stunt industrial growth through its promotion of 100% foreign land ownership. Federalism under existing semi-feudal conditions would only reinforce the anti-farmer hacienda system. The group also decried the increasing militarization in the countryside. 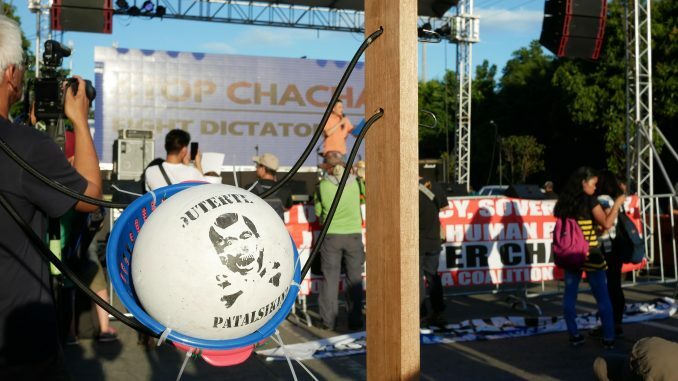 Their statement was accompanied by a caricature of Duterte, shot into the air by peasants with a slingshot made of two giant sickles. Like SAKA’s Facebook page for more updates from the artist network. 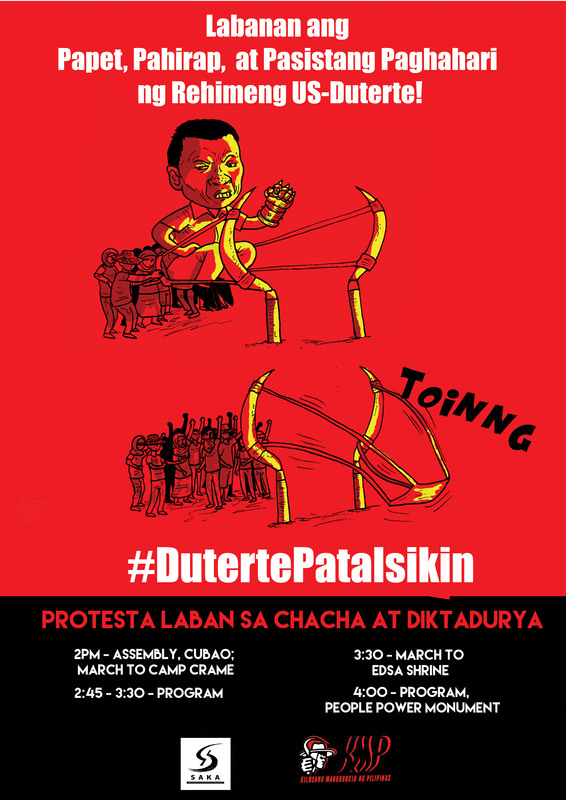 The post Artists, peasant advocates unveil anti-fascist slingshot appeared first on Manila Today.